Every July, Addiko Fusion Stage at EXIT Festival, in accordance with its two-decades long history and concept, delivers a carefully designed mix of genres from all parts of the musical spectrum to the audience at the Petrovaradin Fortress in Novi Sad, Serbia. This summer, from July 4 to 7, it will once again gather well known artists, as well as hot new acts with the already announced Tarja Turunen (ex-Nightwish), the legendary British ska band The Selecter, as well as local heroes Atheist Rap, Sajsi MC and Bad Copy. 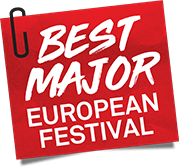 They will be joined by Hungarian rock-blues trio Mongooz and the Magnet, the hot new Croatian band Svemirko, a Manchester indie quartet The K’s, as well as a myriad of regional bands such as Eyesburn, Samostalni referenti, Elvis Jackson, Kal, Sixth June, Raiven, the maestro of the Pannonian chanson, Zvonko Bogdan and ABOP, along with the new Macedonian drama-musical project Crnila Remix! On the first day of the festival, July 4, when the British ska band The Selecter is scheduled to perform on the Fusion stage, it makes sense for EXIT to host local legends of this scene, Samostalni referenti, the longest lasting ska band who have been charming audiences for 23 years already with their dance mixture of punk and ska music. They will be joined by the Slovenian electro-pop sensation, Raiven. On the following day, Friday, July 5, The K’s will be there to showcase the far-reaching famous musical innovativeness and talent of Manchester. They are an exciting indie quartet which attracted attention of the public with their debut single “Sarajevo”. On the same day, the audience will be taken on a true journey through musical genres by the famous Slovenian band Elvis Jackson, who have been delivering performances filled to the brim with energy for 20 years, with tracks mixing ska, punk, reggae, metal and rock, which were their ticket to some of the biggest European music events! The multi-cultural trio from Pecs, Mongooz and The Magnet will be in charge of heavy guitar riffs on the second day of the festival – their members come from Hungary, Norway and Ireland, and their rock-blues sound is a love at first listening and responsible for their break-through on to the music scene! On the third day of the festival, the stage will be reserved for Belgrade-based Eyesburn, who will celebrate a huge anniversary – 20 years since their first big gig. Synthpop waves will be produced on Saturday by the much-loved Serbian duo Sixth June, who are also big in Germany, while their hit “Drowning”, has almost 700 thousand YouTube views. Their status is best illustrated by the fact that they promoted one of their albums in the famous Berlin club Berghain – and by the end of the year we can expect another one! Musical diversity at Addiko Fusion stage that day will also be demonstrated by the Belgrade based band Kal, whose sound was described as Rock’n’Roma. This genre earned them performances at the stages of festival giants such as Danish Roskilde and Hungarian Sziget Festival. Experimental side of the music, and art in general, will be presented by Crnila Remix, the first and only hip-hop theater play from Macedonia! The new wave of names is bringing one of the biggest sensations on the music scene in the Balkans which will perform on the final night of the festival, on Sunday, July 7 – the Croatian electropop band, Svemirko! Another neighborhood arrival, the audiovisual band ABOP will force the audience to move with their live performance of electronic music, which means that Addiko Fusion stage will definitely transform into an open-air party! For years, this human rhythm machine from Zagreb has filled numerous clubs thanks to the five great musicians who have recently been nominated for the Berlin Music Video Awards, for their video “Right Now”! EXIT tickets are available at exitfest.org, and for those who wish to bundle them with accommodation and local transfer, tour packages are available at EXIT’s official tourist agency at exittrip.org. Tickets with a 55% discount are available only until this Friday, April 12th.